Spring heralds the arrival of the industry awards season here in the UK and this year it kicked off with Junior Magazines new Design Awards. It's a breath of fresh air to see this new twist on the traditional magazine awards. Finally people are realising that baby products can be works of art too. 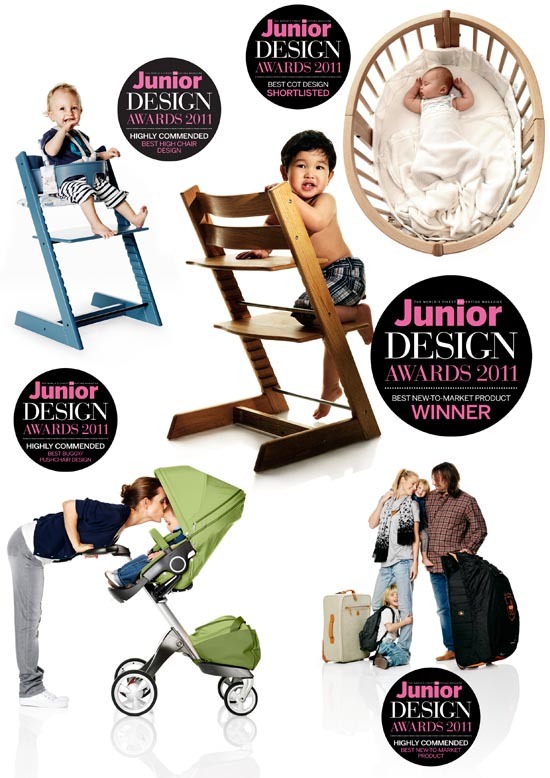 Stokke® Tripp Trapp® Exclusive : WINNER of Best New to Market Product. Stokke® Xplory® : Highly Commended in Best Pushchair Design. Stokke® Sleepi™ : Shortlisted in Best Cot Design. Stokke® Pram Pack™ : Highly Commended in Best New to Market Product. Stokke® Tripp Trapp® : Highly Commended in Best Highchair Design. Always be up to date with our news by signing up for our email alerts. Please rest assured that we will not share your details.